The Telaire T9602 is a fully calibrated and temperature compensated Humidity and Temperature Sensor for OEM installations. Telaire T9602 offers the most advanced and cost effective humidity and temperature sensing solution for virtually any type of application. Based on Amphenol’s capacitive polymer sensor chip and a CMOS integrated circuit with EEPROM, integrated into an easy mount OEM package. It comes with different mounting options and is reliable even in harsh environments, it is an excellently thought out device. The sensor head is protected to IP65, making it ideal for residential and commercial ventilation plants, or other areas where a higher level of protection is necessary. 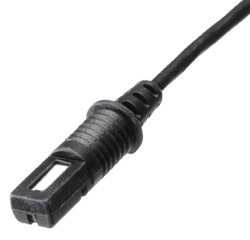 Continuing the flexibility two wire lengths are listed and each unit comes complete with a fitted plug. Maximising your integration options, the sensor accommodates 2 mounting options; it can either be clamped to a surface with a standard wire ‘P’ clamp, or, inserted through an electrical grommet. 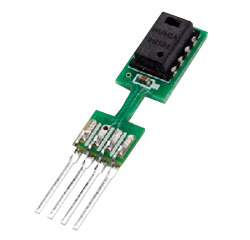 Individually calibrated and tested the T9602 sensor chip performs at ±2% from 20%-80% RH (±3% over entire humidity range) and is simple and ready to use without further calibration or temperature compensation. 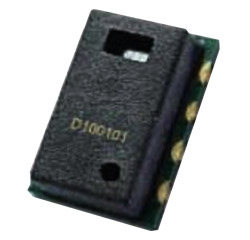 T9602 provides linearized output signals in various interfaces to customer requirements; I2C interface (14 bit resolution), PDM convertible to analogue signal. T9602 can be used in energy saving HVAC control and in process control & instrumentation applications, such as air conditioning, refrigeration, indoor air quality, vent fans, home appliances, humi/dehumidifiers, medical instruments, handheld devices, weather stations, food processing, printers and RFIDs – quite a number! ChipCap2-SIP is a single in-line package type of ChipCap with ready installed V-core capacitor for easy and convenient application. ChipCap offers the most advanced and cost effective humidity and temperature sensing soloution for virtually any type of application. Capacitive polymer sensor chip, with CMOS integrated EEPROM circuit integrated into one embedded system. ChipCap2 offers the most advanced and cost effective humidity and temperature sensing solution for virtually any type of application. A capacitive polymer sensor chip and a CMOS integrated circuit with EEPROM are integrated into one embedded system in a reflow solderable SMD package. Individually calibrated and tested, ChipCap2 performs at ±2% from 20% to 80% RH (±3% over entire humidity range), and is simple and ready to use without further calibration or temperature compensation. EMD resistive relative humidity sensors are ideal for humidity measurement applications that require a high accuracy without calibration. 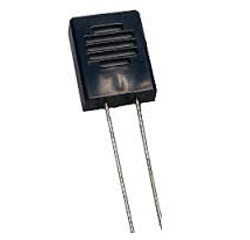 The EMD-4000 is a bulk resistance-type humidity sensor based on the impedance change of a thin-film polymer due to water vapor absorption. 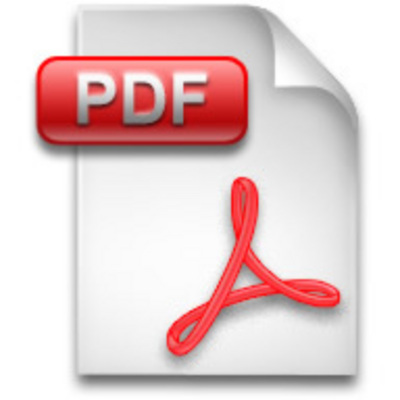 The polymer is deposited on Bismuth alloy terminals, which are set on a ceramic substrate. The sensor is excited by a low voltage alternating current and the impedance measured as a function of relative humidity. 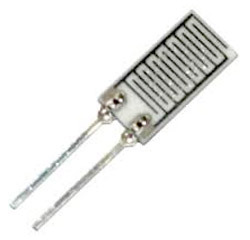 This Thermometrics HS12SP model is a nonrefresh type of polymer based relative humidity sensor.The HS12SP features good long term reliablility, quick response and has cost effective performance. It is suitable for applications including humidity monitors, humidity controllers, air conditioners, humidifiers, dehumidifiers and automatic ventilation. The HS12SP features good long term reliablility, quick response and has cost effective performance. It is suitable for applications including humidity monitors, humidity controllers, air conditioners, humidifiers, dehumidifiers and automatic ventilation. 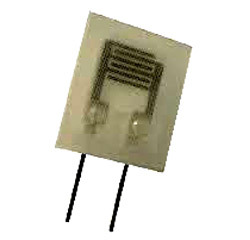 HS30P polymer based relative humidity sensors are ideal for humidity measurement applications that require faster recovery from condensation and are equipped with a micro heater for faster recovery from condensation. The HS30P is designed for good, long term reliability and has cost effective performance. It is suitable for a wide range of applications such as Humidity Monitors, Humidity Controllers, Air Conditioners, Humidifiers, Dehumidifiers and Automation ventilation.